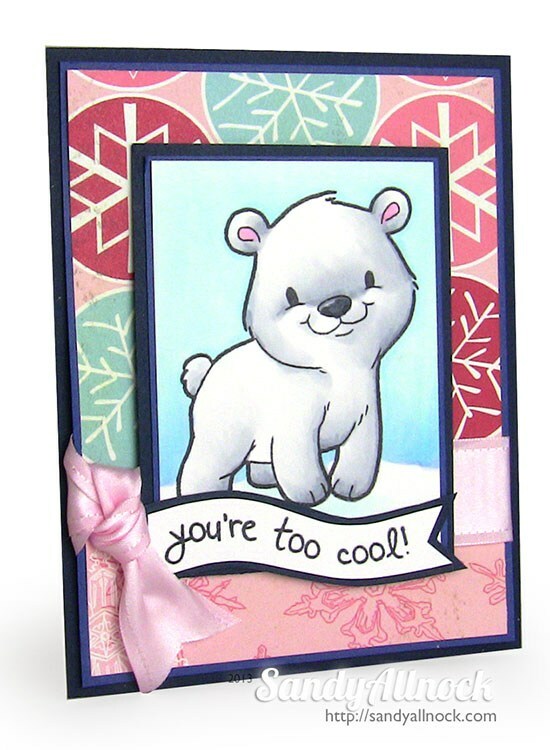 Here are the pics of the sweet little polar bears from the Some Odd Girl set called Winter Friends. Stay tuned in the next week or so, I have some of the penguins to put on cards and they are stinkin sweet too! The patterned papers used here are ancient, I believe; I hardly own any Christmas paper right now except one pad that I’ve been using – and nothing worked for these polar bears. So I went to the garage sale “stash” that I’ve been saving up and collecting from friends – and I shopped for something that’d work! 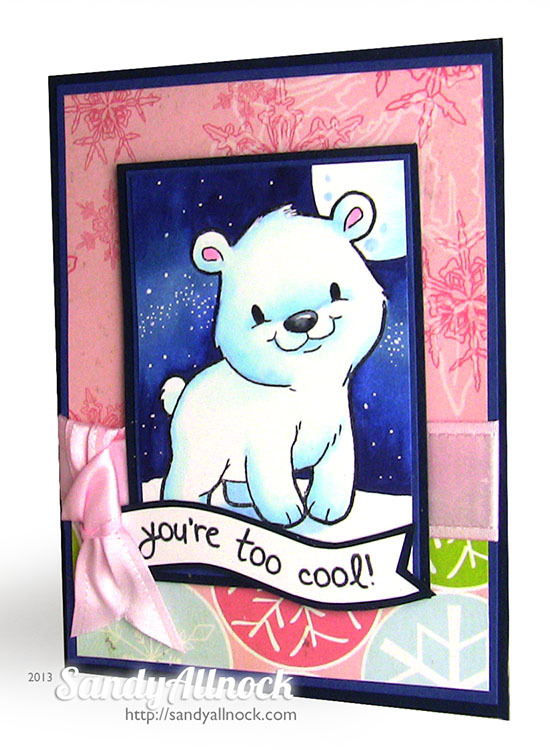 These happy pinks and blues went really well with the little bears. It’s really not as hard as you might think to learn how to color white with Copics – it just takes a light touch. Keep your colorless blender marker handy too, in case you need to feather something out that doesn’t bleed well into the white paper. I hope you liked the tutorial…and now you know how to color white with Copics! If so give a lil shout out in the comments to my awesome patrons! They’re inspiring me to do some fun stuff 🙂 And they’re also lucky enough to have gotten my color study on some Copics to use on those Winter Friends penguins. You could join them and get some inside scoop too! 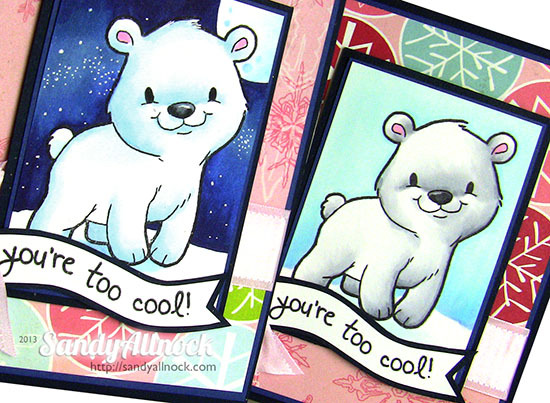 This tutorial is so helpful and now that I have that stamp set, it will be my “go-to” for white bears and arctic backgrounds. 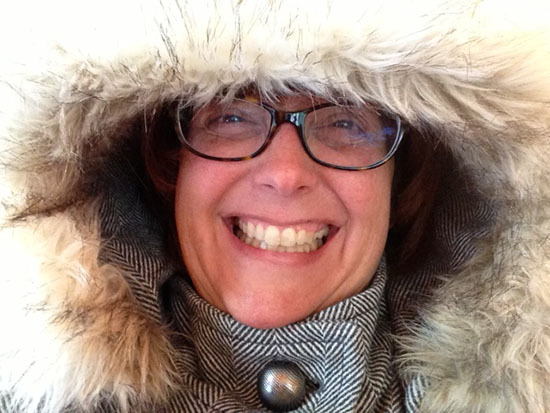 I would love to see how you would color Santa’s beard and also white fluffy frosting on a cupcake… I am thinking both would be warmer whites than our little polar friend here. Thanks for all you teach us. This lil guy is soooooo cute!!! Awesome coloring and instructions, as always, Sandy. How did you do the stars? Is that gel pen? Amazing work on the night sky. I am in awe of you.